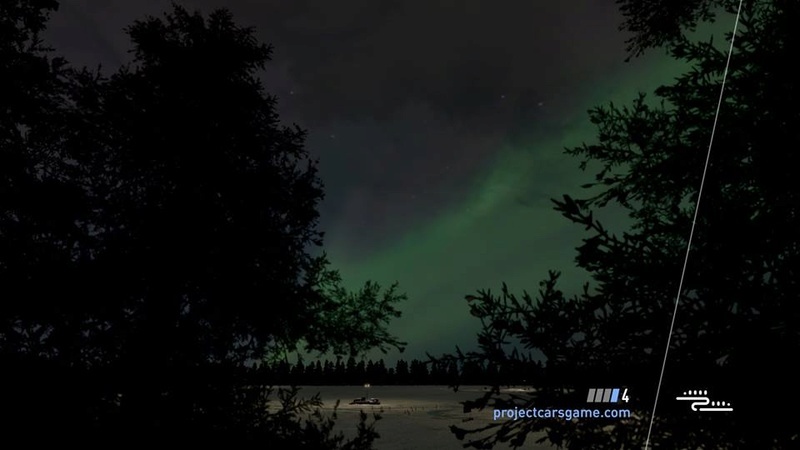 Project Cars 2 have recently released some images over the past few days. The image above is showing Fuji Motor speedway so new tracks are on the way. Just hope it's on Xbox Oneand doesn't go straight to Scorpio. 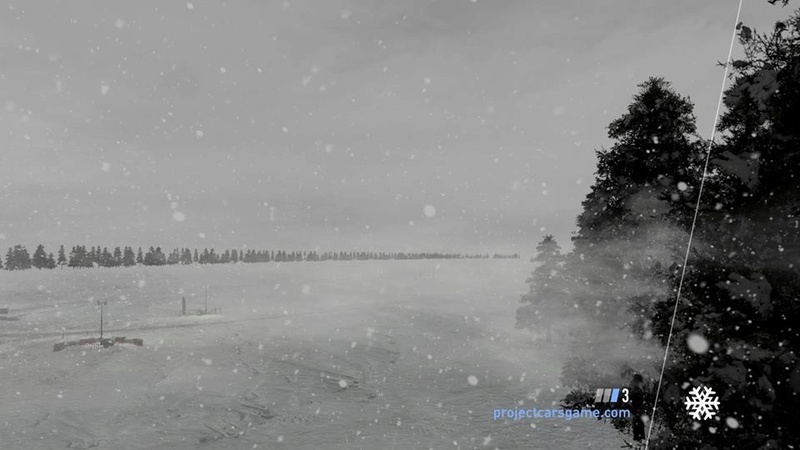 Project CARS Instagram page has a new video up. Among other things it shows the Corvette GTLM car on a banked oval, possibly the Daytona road coarse. It shows the new Acura NSX GT3. And it shows a concrete lined street course with palm trees. Possibly Long Beach? 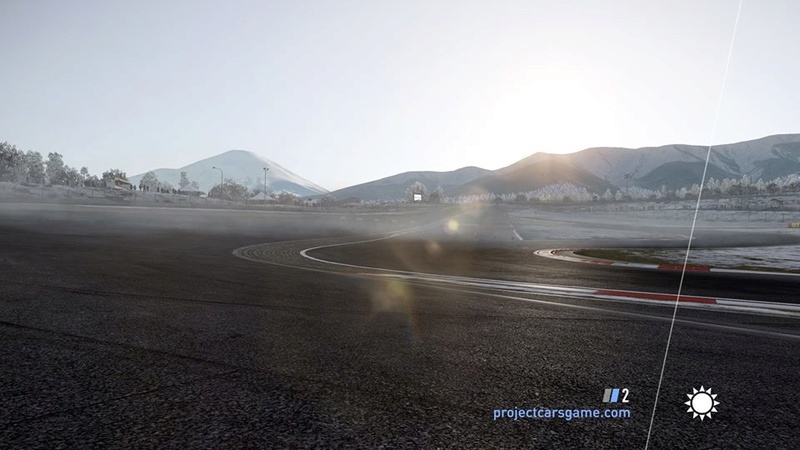 @Hurt MaGurt wrote: Project CARS Instagram page has a new video up. So SMS (Sightly Mad Studios) released there official teaser trailer yesterday. Also Ginetta confirmed on there twitter that there brand new LMP2 car will make an appearance in the game. So will Scorpio and Xbox One have no compatibility between them the same as when it went from 360 to One? Hate that sh!t when it happens like that. 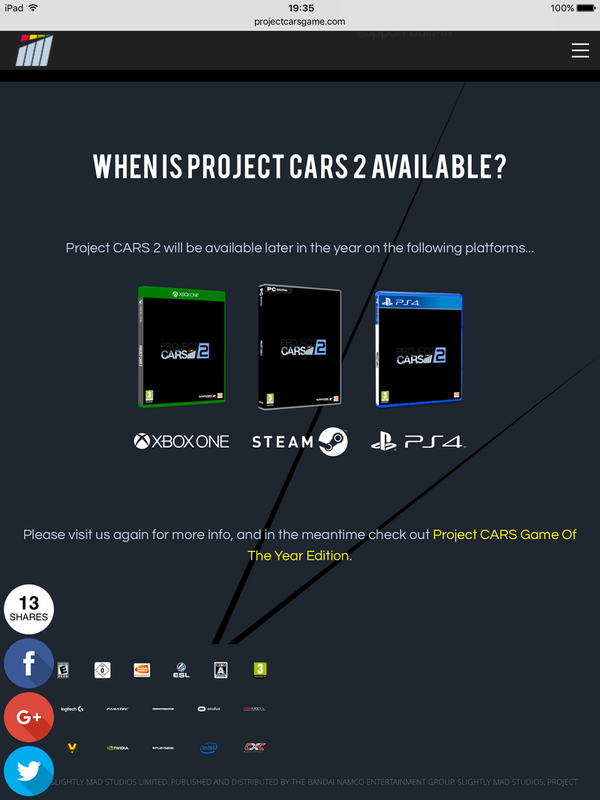 Project Cars 2 is unlikely to be released this side of Christmas if their track record is anything to go by so when is Scorpio due out. I won't be going that route anyway but just wondering. ReadingRich wrote: Just hope it's on Xbox Oneand doesn't go straight to Scorpio. Is it? I thought it was a whole new beast? That's what I thought and it's good to hear because the whole move to nextgen caused so many issues last time around that I would not want to go through that again. If you go to the project cars 2 website it gives good info of things that are to be added to the game including a championship set up tool which means an admin can set tracks,conditions and other rules and invite drivers to take part in that championship, the rounds are then saved and can be used anytime the admin wants too, this means no more scraps of paper to keep scores and so on. Sounds great right, sadly its on PC only, along with many new features. the ps4 and xb1 versions are watered down versions of the game. 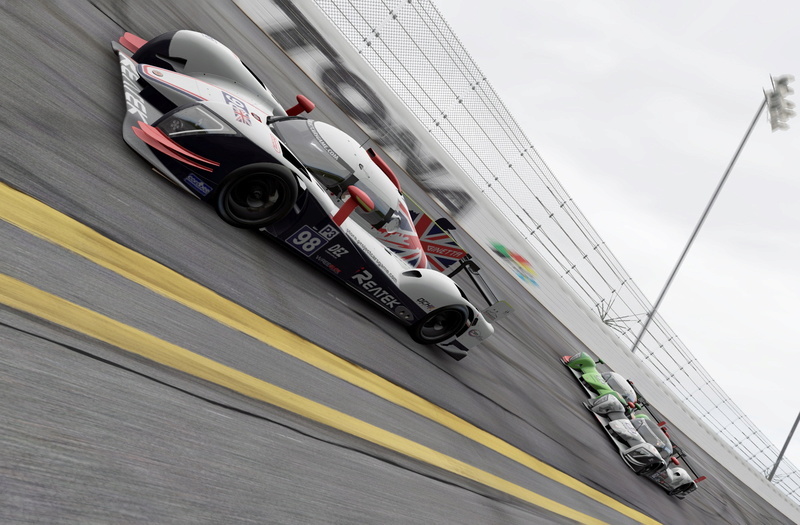 Pc has custom liveries, custom championships, the abilisty to export data to other places including your own websites, a director mode so someone can watch the races and flick car to car at anytime live during a race while recording it. Sadly the game will be too big for console and the full game will be released on pc, the console version is only 87% of the pc game. Ian Bell did a gtplanet interview where he admitted this, he also announced major tracks like monza,sonoma sakitto and others wil not be in game release and will be paid DLC. I'm not sure about which tracks won't be included on release but if it's DLC then it will be DLC for PC too. Also the game will only be 87% of the PC due to scaled down textures and graphical settings. And the PC game for PCars 1 had custom liverys. I'm not so fussed about this as the game has the stock liverys which are more than nice enough. I'd hang about before investing hundreds of pounds into a PC setup. As I'm sure the console version will be sweet regardless. 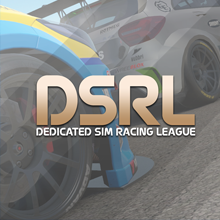 @d4ninho wrote: If you go to the project cars 2 website it gives good info of things that are to be added to the game including a championship set up tool which means an admin can set tracks,conditions and other rules and invite drivers to take part in that championship, the rounds are then saved and can be used anytime the admin wants too, this means no more scraps of paper to keep scores and so on. The second part of it is we're including broadcasting and director functionality in there on all platforms, so any online game created via a new game mode called Online Championships, anyone can find a director who is responsible for changing the camera angles, and they can assign a broadcaster who is responsible for streaming the actual thing to Twitch, and any voice communications they do (commentary) will be heard on the stream as well. Red Bull Ring shown on their instagram page today. 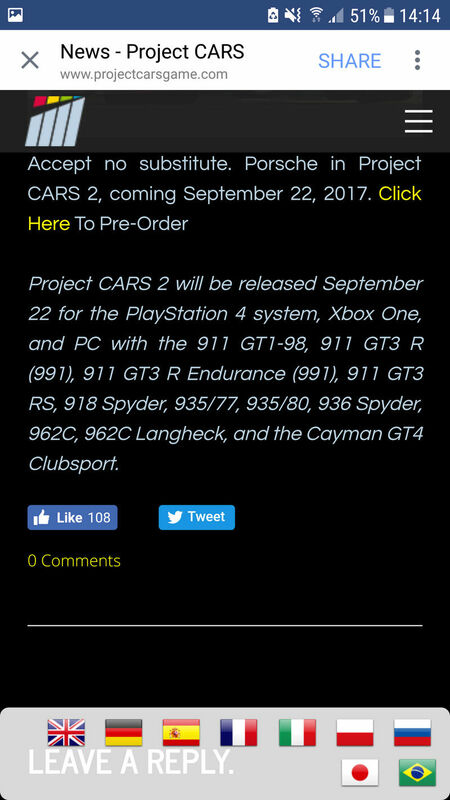 All 11 Porsche cars announced today and in the statement it says release date is September 22nd. Unfortunately it does not list a GT3 RSR which is the GTE (GTLM) competitor of the Ford GT, but it does list a GT3 R and a GT3 R Endurance which i'm not sure what the difference is, hopefully this is the RSR. Just seen this myself mate. Cant moan about the car line up tbh as they have Porsche finally! Haha, sorry if I came across as moaning, as i'm super stoked for Porsche. It would just be nice if they separate GT3 and GTE this time around and had the RSR to boost the numbers. @Hurt MaGurt wrote: Haha, sorry if I came across as moaning, as i'm super stoked for Porsche. It would just be nice if they separate GT3 and GTE this time around and had the RSR to boost the numbers. I also like how in your screen grab they called it the 962C Longheck! No didnt see it as monaing mate haha. It would be nice to see the GTLM one to battle the Ford and Vette. But maybe that will be the endurance one. Or maybe that will be a DLC car later down the line as that is only new this year and the Ford has been around longer. Maybe they knew Porsche would do a new GTLM and therefore didnt want to model the old one. 9-22-17 release, best news yet !!! But what does 9-22-17 actually mean? The retailers still have the game only available in DEC 2017. ? ?